Being the third largest city in Karnataka, Mysore has the amazing attractions of historical and modern. From temple to Galleries and Gardens, it has so much to explore. Srirangapatna lies in Mandya District of Karnataka and is popular for reliigous, culture and historical monuments. 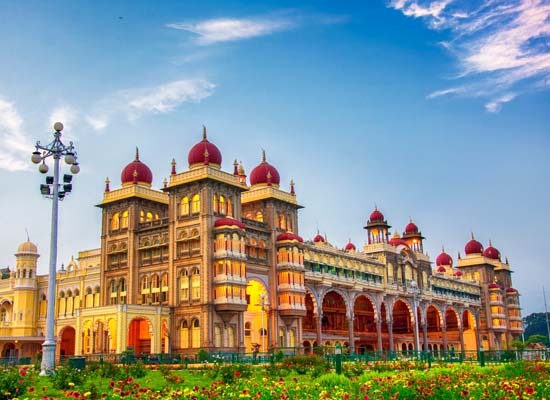 Travelogy India has designed the itinerary of Private Mysore Tour with Visit to Srirangapatna to explore the ancient historical city with religious place. Being accompanied by your private guide, begin your Mysore tour and Srirangapatna, who will meet you at your Hotel lobby. The local guide will give a brief about the day tour and will try to know your preferences. 20 Kilometers away from Mysore is located the Srirangapatna, that lies in the nearby district of Mandya. 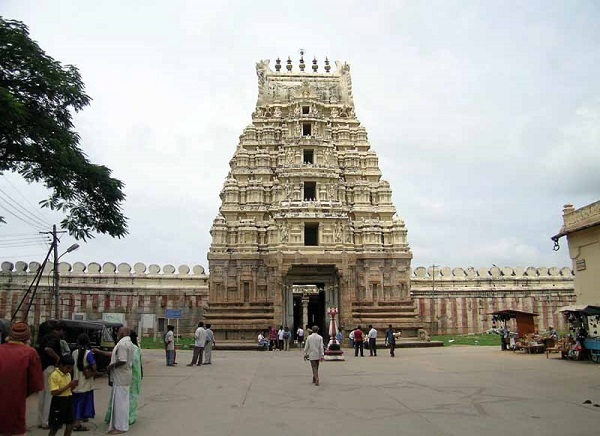 Visit the Ranganthaswamy temple, which is dedicated to the Hindu God- Ranganatha. It is considered as one among the five major pilgrimage sites located on an island, in the river Kaveri. All the five pilgrimage sites are known as Pancharanga Kshetrams of South India. A palace called Daria Daulat Bagh (Garden of the Wealth) is situated in the city of Srirangapatna. It is made of teakwood in Indo-Sarcenic style. 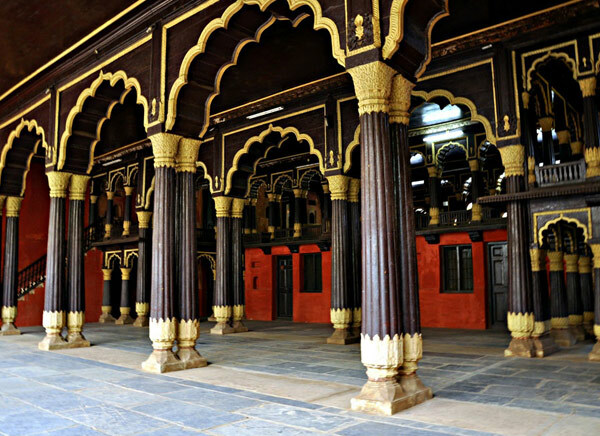 The features that make the palace most stunning include colorful embellishments on the pillars, walls, canopies and arches in the form of Mysore paintings. Visit the Tombs of Tipu Sultan and Hyder Ali, located in Srirangapatnam. The tombs are similar to the Golconda tombs in appearance. The elegant square chamber and a brick dome with excellent workmanship and the intricately designed carved stone windows and ebony doorways with inlaid ivory make the tombs attractive. The complex has an ancient mosque inside. Visit a Catholic church- St. Philomena's church built in the memory of St. Philomena in the district of Mysore, India. It was constructed using Neo Gothic style. The architecture of this church was motivated by the Cologne Cathedral in Germany. In the middle of the day, you can have your lunch (at your own cost) at a restaurant recommended by your guide. Visit the Chamundeshwari Temple named after goddess Chamundi, located at the top of Chamundi hill. The chief hill features an ancient stone stairway that leads to its summit. It comprises of around 1,008 steps. 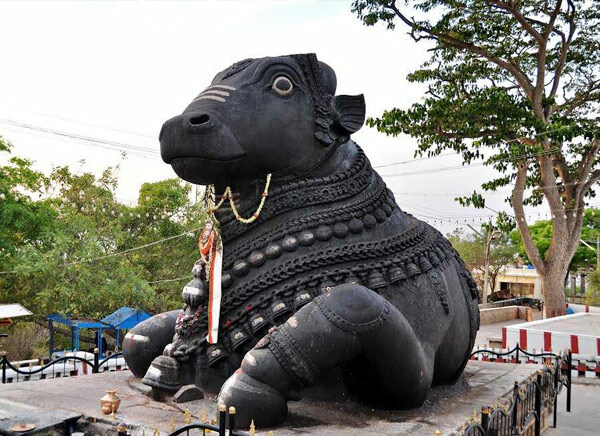 Halfway to the summit, you can find a statue of Nandi- the bull, the vahana ("vehicle") of Lord Shiva. The statue is 4.9 meters tall and 7.6 meters long, which has been carved out of single black granite. From that point, one can get a majestic view of the city. Then you will visit the most stunning Palace of Mysore- “The Mysore Palace” with rich historical background in Mysore, Karnataka. It is the official residence of the Maharajas of Mysore that comprises of two durbar halls along with an array of mesmerizing buildings, courtyards and gardens. Take a stroll of Devaraja Bazaar to observe the lifestyle of the local people. The market represents the heritage of Mysore city. At the end of the tour, our tour representative or the guide will drop you off at your hotel in the comfortable air-conditioned car.